It was a bright and early start for the cream of local businesses we welcomed to Turnchapel today for a Devon Chamber of Commerce Crunchy Breakfast. Ensuring our workplaces are truly compassionate to staff who are bereaved, living with loss or caring for someone at the end of life was top of the menu. 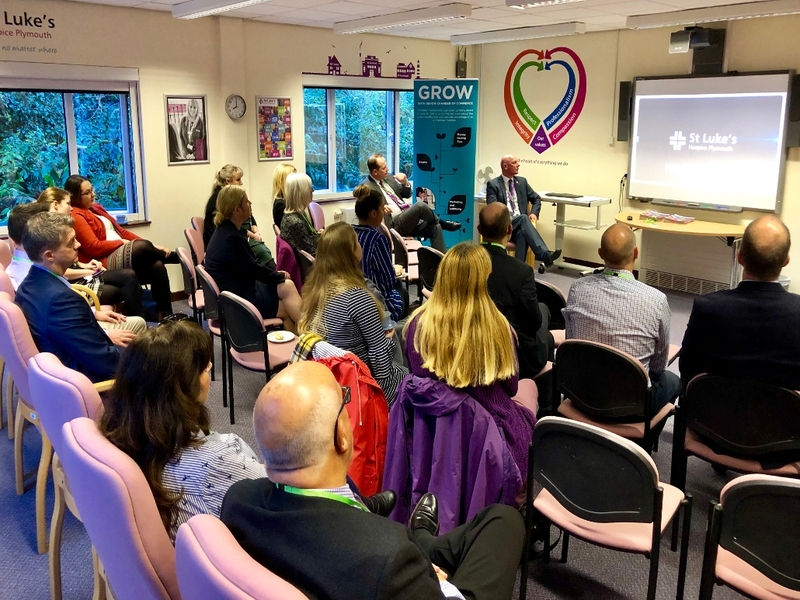 Over coffee and bacon baps, conversations highlighted how being more aware of staff’s circumstances and taking simple steps – such as adapting existing policies – can make a big difference to the health and wellbeing of employees, helping them feel better supported during challenging times. Bringing the topic into the foreground is all part of the Compassionate City Charter endorsed by Plymouth City Council – watch this space for further news.